The ideal Valentine’s Day surprise doesn’t have to be complicated. In fact, it should be as easy as this. 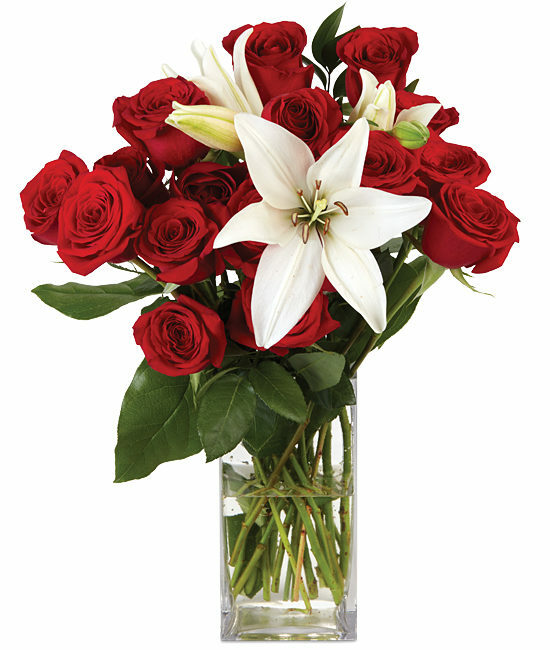 Impress the one you love in grand fashion with this elegant and sophisticated, yet oh-so simple bouquet of white Asiatic lilies and red Freedom roses dressed to impress in a radiant red, glass hobnail vase. Voila! Remove all foliage that will fall below the water line. 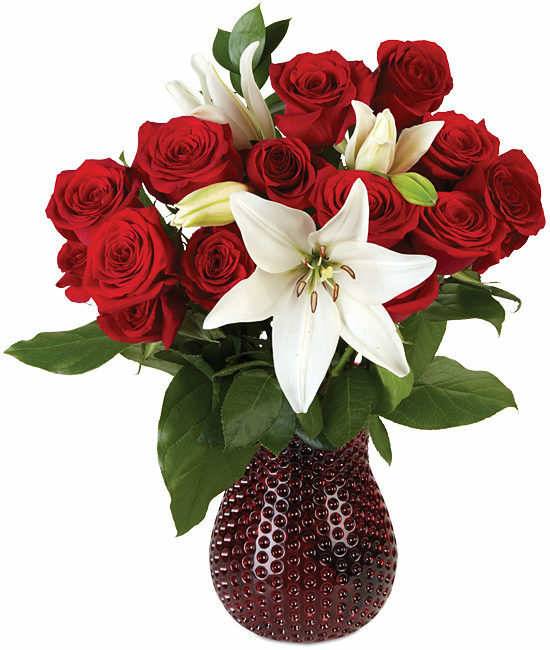 Remove the “guard petal” on each rose – this is the outermost petal left on to protect the bud during shipment. We recommend cutting all stems underwater for best blooming results. As the lilies open, you may gently pull off the pollen anthers to avoid pollen dust. Be careful not to get lily pollen on your clothing or linens. Pollen sheds easily and stains whatever it touches. Always add fresh water daily. Trim away spent blossoms as your bouquet ages and rearrange if necessary.